At the end of a long, stressful day, nothing feels better than a warm shower or an inviting, tension relieving bath. It’s a spa treatment in its simplest form when you are able to soak your aching body and lather up, washing away the dead cells, dirt, and sweat. Nothing can be worse than expecting the frothy water to drain away and realizing that it has settled. Ewww! Now your mini spa ended terribly and you have to deal with the cleanup and a solution to the most unwanted clog. Here are a few simple ways that you can prevent a clog in the future. Hair is perhaps the biggest drain clogging culprit. A lot of hair gets shed in the shower and it tends to form a matted clog that gets tangled around the internal chain that operates the drain stopper, causing a backup over time. Razor caps, tiny toys, and hair-bands can all get down the drain pipe and can cause drainage problems. 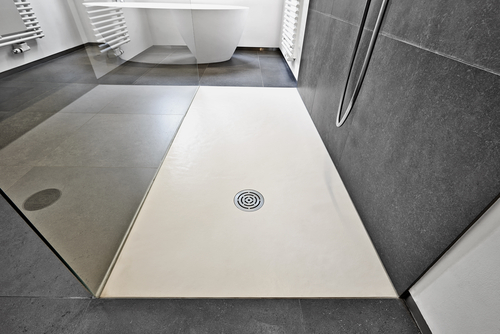 A simple solution that is also inexpensive is to use a drain cover or a hair trap to act as a barrier that prevents hair and other forms of clogging material from slipping into the drain. Hair traps are available in a number of styles, including silicone and stainless steel. Drain covers can be a screw-in, snap-in, or heavy duty, or can fit around existing drain stoppers. These will limit the frequency and severity of bathtub clogs. Soap scum buildup is a common occurrence in the shower and bath, and it clings to drains and eventually causes a clog. It is nasty and unhealthy. You can prevent your shower and bath drain from clogging by occasionally pouring boiling water down the drain. The temperature of your hot shower water is not hot enough to do the trick; it simply can’t dissolve the soap scum. You can pour a few quarts of hot water down your shower or bath drain every few weeks to ensure that your drain is running smoothly and prevent clogs. You can call this baking soda to fix the green solution because you are not using any harsh or dangerous chemicals. Ever so often, you can pour baking soda and vinegar down the drain to prevent clogs. It is an easy solution that involves first pouring roughly ½ to 1 cup of baking soda down the drain, followed by 1 cup of plain white vinegar. Cover the drain and let the foaming action take place for about 10-15 minutes, then pour a gallon of hot water down the drain. These are three simple solutions that you can use to prevent your shower or bath drain from clogging. If these fail or your clog seems to need some emergency help, call your local professionals for inspections or emergency unclogging so that you can go back to enjoying your baths or showers again. 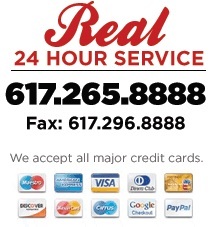 Contact Boston Drain Company 24/7/365 to solve your drain emergency quickly and efficiently!